Venezuala has a variety of wetlands, including lakes, rivers, estuarine and coastal marine areas. Venezuela has more than 30,000 km 2 of natural wetlands and 9,400 km 2 of man-made wetlands. More than 200 areas are designated as Special Administrative Areas (Bajo Régimen de Administración Especial (ABRAE)) and there are Ramsar sites. In coastal areas alone, 153 species of waterbird can be found. Like many other natural environments in Venezuela, wetlands are areas of great interest because of their importance and sensitivity to the nearby human populations and activities. It is essential to conserve wetlands and their bird life, including sustained monitoring to identify threats and changes. Venezuela joined the Neotropical Waterbird Census (CNAA) organised by Wetlands International in July 2006. 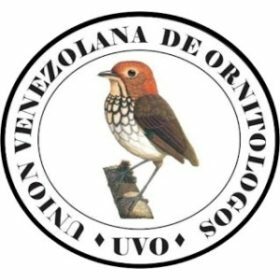 The Venezuelan Union of Ornithologists (UVO) supports this initiative and invites amateur and professional observers of birds to join us as we further develop the census.